The Redding Dirt Riders is a charter club supporting our riding community through fundraising events, trail maintenance, and collaboration with BLM to keep our riding opportunities alive! We put on several events per year and various rides for members. See our events page for details. The Redding Dirt Riders will seek grant funds for Education and Safety at the Chappie-Shasta Off Highway Vehicle Recreation Area. Other ideas may come from public comments and suggestions. The OHMVR Grants and Cooperative Agreements Program supports off-highway vehicle recreation in California by providing financial assistance to cities, counties, districts, federal agencies, state agencies, educational institutions, and federally recognized Native American tribes and nonprofit entities. The Redding Dirt Riders are committed to the Off Road Vehicle Sport and Recreation. We promote use of off road Motorcycles, Quads, and OHVs for the benefit of current and future generations, supporting conservation in pursuit our multiple-use mission. The Preliminary grant applications will be available for review on the grants section at ohv.parks.ca.gov , from March 5 through May 6, 2019. 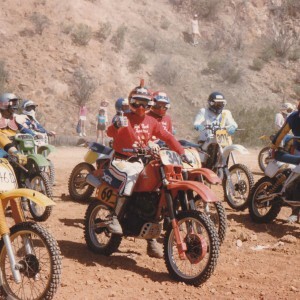 The Redding Dirt Riders is a group of dirt bike riders who live and ride in Northern California. Our membership is diverse in age and skill level with old timers and beginners. With over 50 active members there is always someone to go riding with. Some of our earliest members have been instrumental in the establishment and maintenance of the Chappie Shasta OHV Area, where we put on several different events throughout the year. A portion of our proceeds go to the Travis Hagler Scholarship Fund, as well as to organizations that promote our sport, maintain riding areas and riding rights and to our local community.